The Mini Longboard is your go-to mid-length board that has enough volume to catch small waves easily while still retaining maneuverability. Overall, great for maximizing fun on the slower days and a must have for any quiver. 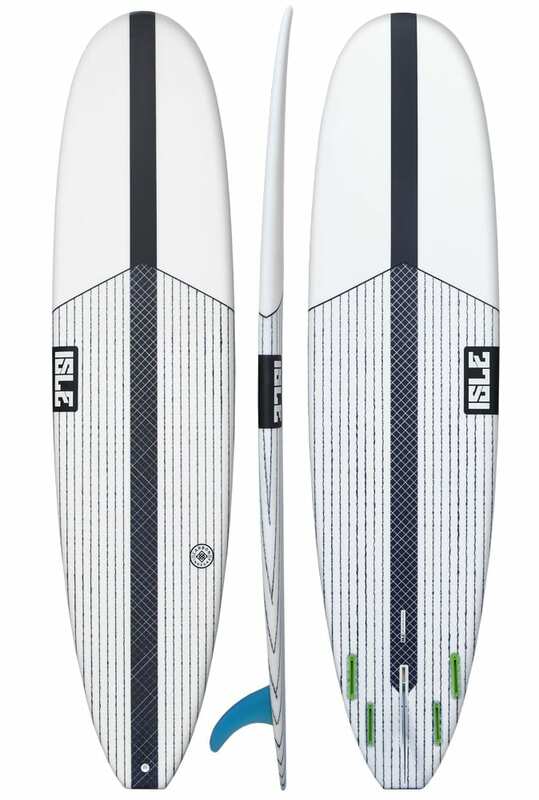 The ISLE Mini Longboard is a reliable surfboard that will adapt to conditions and perform to the highest of standards. 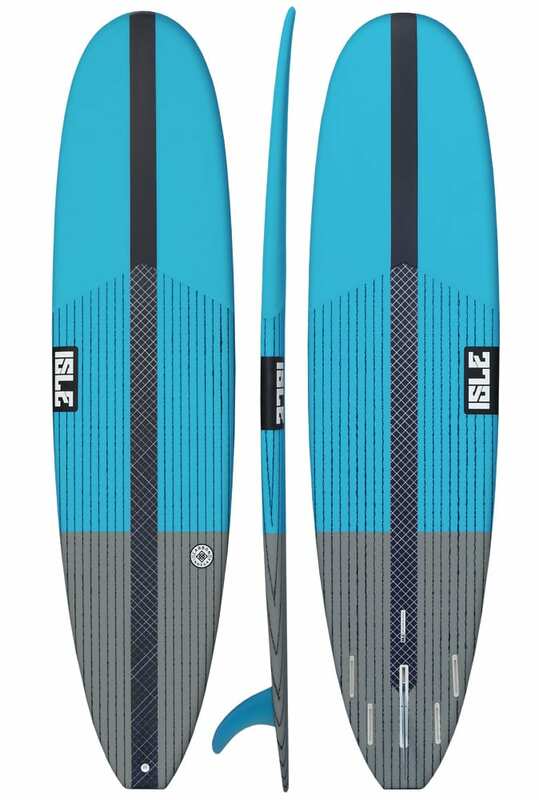 Regardless of your skill level, this versatile cruiser has tons of paddle power and maneuverability that is sure to boost your wave count. Our design features a full outline that starts flat in the nose; then, below the “sweet spot” we engineered a single concave bottom which funnels to a slight V off the tail. 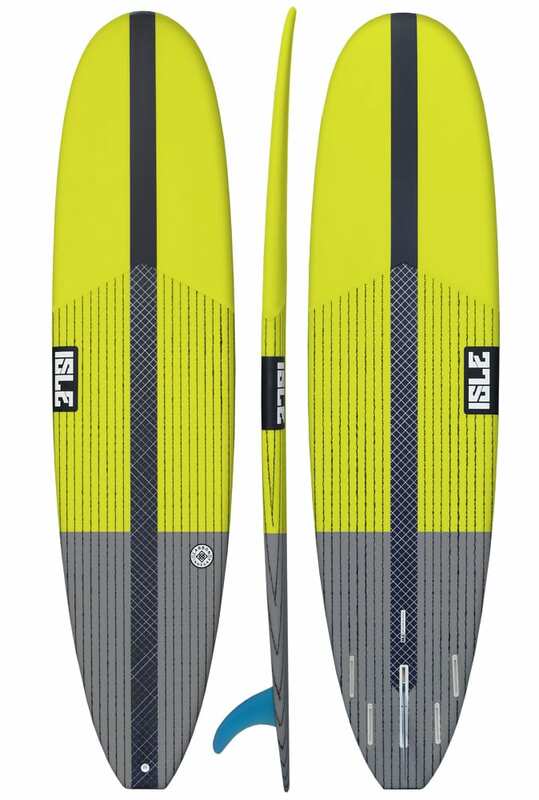 With tons of surface area up front, it is designed to glide effortlessly into waves with minimal effort. The single concave bottom and low rocker help maintain down-the-line speed – and the low entry V tail makes it maneuverable. Expect plenty of control in bigger, steeper waves. 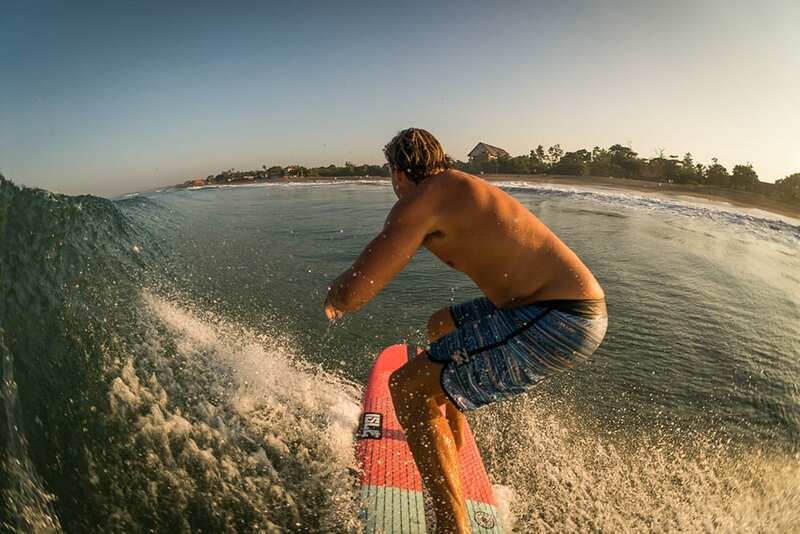 The 4 + 1 fin setup offers 3 types of performance: one, a thruster for drawing longer lines; two, a quad to increase drive and tighter turns; or three, a single fin for bite and nose riding. 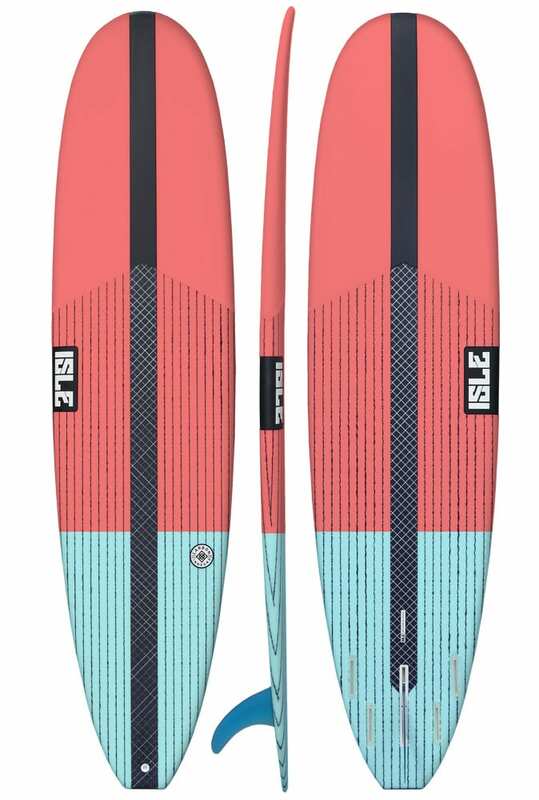 With all the features of our performance long board combined with the response of a short board, this stick that will remain in your quiver for years.